This week we decided to venture out of Pullman and take a weed-inspired tour of Spokane, Washington. 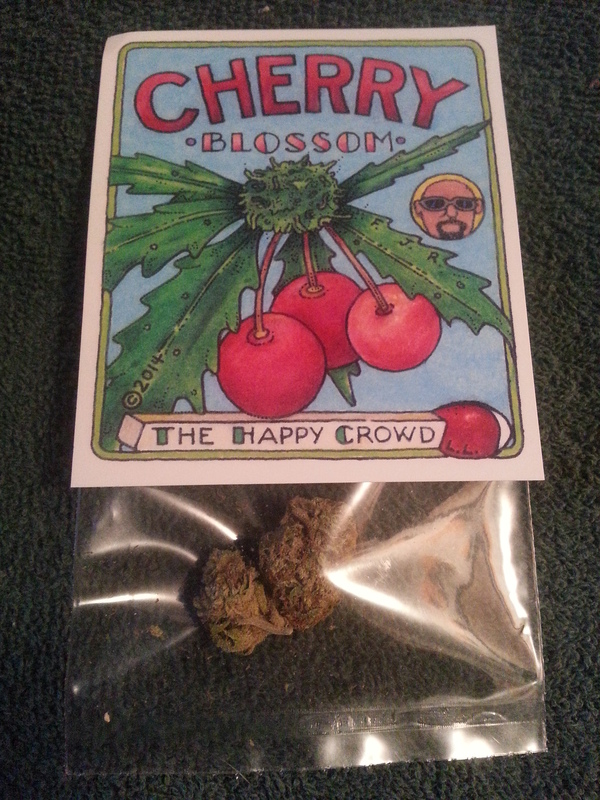 After stopping at an upscale recreational marijuana shop and meeting some amazing Budtenders at a place called Cinder, we picked up a delightful new Indica-dominant strain from a local grower called The Happy Crowd, LLC. 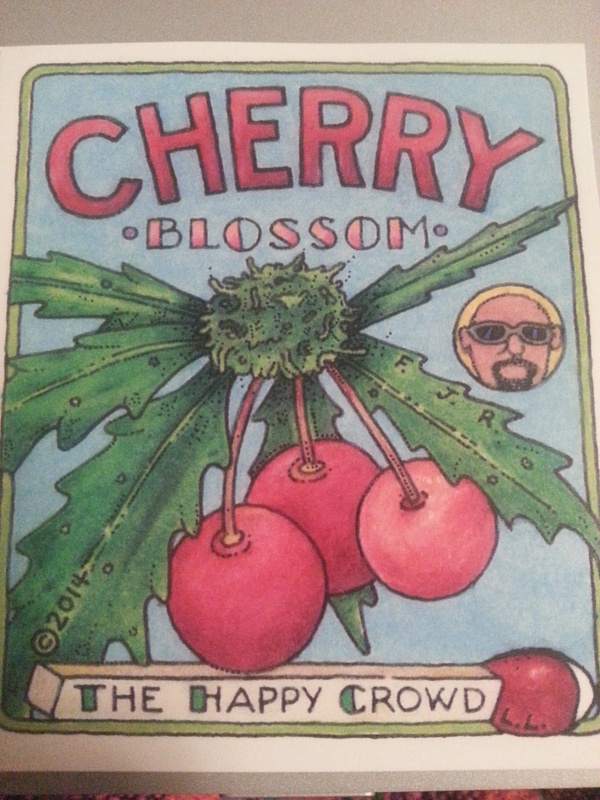 This week’s strain is called Cherry Blossom and it was a beautiful journey. Rating: 3.9 out of 5. Nugs: Light colored, dense and compact. Hairs are dark brown. Odor: Smells bright and fresh, just like a blossoming tree. Taste: Smoke is light and airy, exhale has a strong and bright, fruity flavor. High: Smooth and uplifting, instantly elevating. This is a light and floaty Indica-dominant strain that will make the user feel instantly relaxed. One smooth hit of this delicious weed will make all your troubles melt away as you enter a smoother dimension where the air tastes fresher and the music reaches deeper. Cherry Blossom brings full-body relaxation with the perfect amount of mental stimulation. It is a blend of 80 percent Indica and 20 percent Sativa which offers the user a clear mind with an elevated spirit. The high comes on quickly and the urge to cloud watch begins. This is an excellent springtime high. Cherry Blossom perfectly describes this light and spacy strain that will make the user feel uplifted and mentally bright. It has a strong to medium body high with light cerebral effects. Enjoy Cherry Blossom’s good vibes with good friends and good music. You can check out Cinder on Facebook too, their awesome Budtenders Christine and Kat were super helpful! Previous Entry Medical MJ No Longer Banned in the U.S.
Next Entry The Future of Pre-Employment Drug Screening?